The petition, which seeks removal of control of Devaswom Board over Hindu temples in Kerala, was earlier dismissed by the Kerala HC. 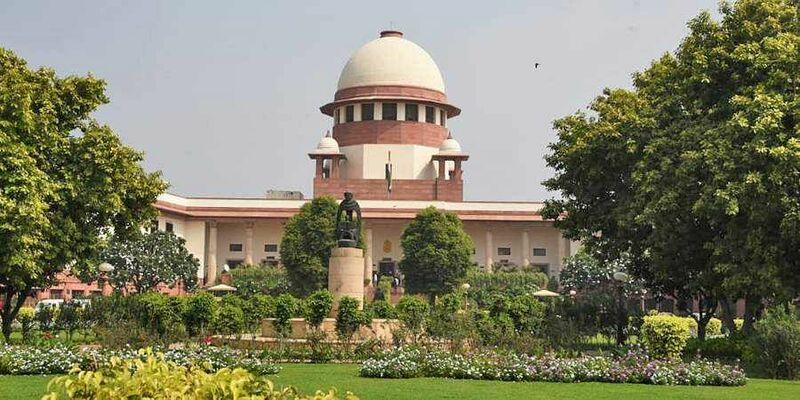 NEW DELHI: The Supreme Court on Friday agreed to examine the petition moved by BJP leader Subramanian Swamy and TG Mohan Das to abolish Devaswom Board. The bench of Justices U U Lalit and K M Joseph issued notice to the Kerala government and Devaswom Board of Travanacore and Cochin and sought their response in six weeks. The petition, which seeks removal of control of Devaswom Board over Hindu temples in Kerala, was earlier dismissed by the Kerala High Court. In his plea, Swamy has contended that he was aggrieved by the Kerala HC’s refusal to strike down various sections of the Travancore- Cochin Hindu Religious Institutions Act, 1950. “The two Devaswom Boards administer most of the temples situated in the erstwhile Travancore - Cochin part of the present State of Kerala that includes Kollam, Trivandrum, Ernakulam, Idukki and Thrissur Districts in Kerala and part of Kanyakumari District in Tamil Nadu,” the plea stated. Swamy’s plea said that the HC erred in rejecting the contention that when a temple is taken over by the state government on the allegation of mismanagement, is it not incumbent on the government to return the management of the temple to its original owners on the evil being remedied. The notice comes days after the apex court had on September 28 gave a landmark judgment to lift the ban on entry of women between the age group of 10 and 50 years of age into the Sabarimala temple. Ever since the verdict, Kerala has witnessed massive protests across the state supporting the age old custom and not supporting the SC judgment. Earlier this week, the Kerala High Court directed the TDB to inform it about the provisions made to make the temple accessible for women and had also asked the government to appoint a woman inspector general (IG) in the core committee which will be in charge of crowd management at the temple.